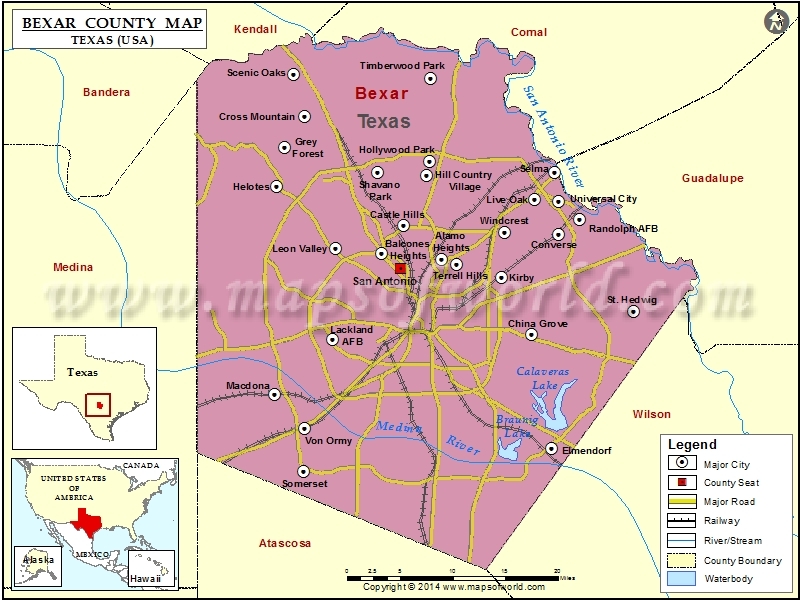 There is no dearth of attractions in the Bexar County of Texas, whose county seat is San Antonio. One of the most recognized landmarks of historical attraction of US, Alamo, is located in the Bexar County. Many American legends passed away defending this landmark. One can also visit the Alamo Gift Museum so as to help with the proceeds for this charitable cause. Something which cannot be overlooked in this county is the River Walk, one of San Antonio’s main tourist attractions, which is also known as ‘The American Venice’. This three-mile romantic picturesque stretch is a waterside downtown terrain, providing for awesome dining facilities, amazing shopping opportunities and alluring entertainment. Also, its sidewalks connect it to the popular attractions like the Rivercenter mall, Alamo, and the Tower Life Building.